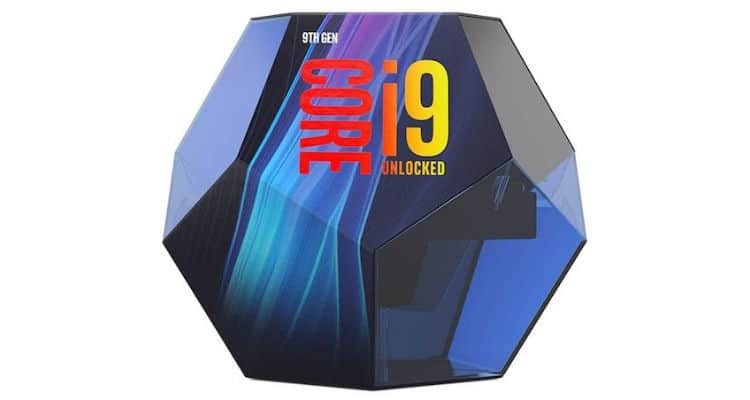 Intel announced the 9th Gen Intel Core i9-9900K, the world’s best gaming processor, and said preorders for the new processor would begin with the launch. The announcement was made as part of a series of new desktop processor introductions that will enable amazing performance and platform features to meet a range of consumer needs from gaming to content creation. All three of the 9th Gen Intel Core processors unveiled today (i5-9600K, i7-9700K and i9-9900K) enable fast, immersive experience for gamers, with up to 8 cores and 16 threads, up to 5.0 GHz single-core turbo frequency, and 16 MB Intel Smart Cache. With Intel Turbo Boost Technology 2.0 delivering up to 5.0 GHz single-core frequency, gamers can enjoy their favourite games with up to 10 percent more FPS across popular gaming titles compared with the previous generation, as well as up to 37 percent more FPS compared with a 3-year-old PC. Capture gameplay, transcode and stream while playing. With this type of mega tasking, gamers can enjoy up to 11 percent more FPS compared with the previous generation and up to 41 percent more FPS compared with a 3-year-old PC. Video editing improved on Adobe Premiere* – Up to 34 percent faster video editing compared with the previous generation and up to 97 percent faster compared with a 3-year-old PC. Overall system performance improved up to 15 percent better as compared with the previous generation and up to 40 percent as compared with a 3-year-old PC. Designed with high frequencies and platform features for both lightly threaded and heavily threaded workloads, these processors are designed to handle the most demanding tasks and applications. Both products are built on the Intel Mesh Architecture, which increases memory and I/O bandwidth while decreasing latency – a critical need for the demanding workloads of creators and experts. With Intel Turbo Boost Max Technology 3.0 delivering up to 4.5 GHz single-core frequency, the most critical workloads can be directed to the processor’s two fastest cores, optimizing for lightly threaded performance when necessary. This means customers do not have to make a tradeoff between choosing a processor for lightly threaded or heavily threaded workloads. For the select, highly threaded and computing-intensive applications such as architectural and industrial design and professional content creation, Intel will deliver the unlocked Intel Xeon W-3175X processor. This new 28-core Intel Xeon processor was built with real-world performance in mind for these large, intensive workloads with up to 4.3 GHz single-core turbo frequency, 56 threads and unlocked for those who want to push performance even higher. This platform also provides 38.5 MB Intel Smart Cache, 6-channel DDR4 memory support with up to 512 GB at 2666 MHz, and ECC and standard RAS support. To celebrate the launch of the new 9th Gen Intel Core processors, Intel is hosting the 9th Gen Intel Core i9 Processor Dreamstakes to give away nine unique, once-in-a-lifetime VIP trips to world-class esports and gaming events, including Intel Extreme Masters, the Overwatch League, ESL One and the NBA2K League. In addition, thousands of digital codes for some of the most popular games will be given away with this sweepstakes.